By Irish Domingo (AFA) and Benoit Thierry (IFAD). Ahmedabad-India-October 2017. Not far from Gandhi's India Ashram, around 90 women farmers and representatives of rural women from 14 countries in South Asia, Southeast Asia, and the Pacific regions came up with a declaration at the end of the three-day Asia-Pacific Women Farmers Forum (APWFF) held in Ahmedabad, Gujarat, India on 4-6 October 2017. During the forum, the participants discussed their initiatives and actions they have taken to reduce poverty and hunger in their families and communities, as well as the challenges and obstacles they face as they perform their roles in society development, and the strategies they want to implement to fully achieve women’s potentials as key stakeholders in sustainable development. The participants also identified ways forward to sustain or replicate their efforts. 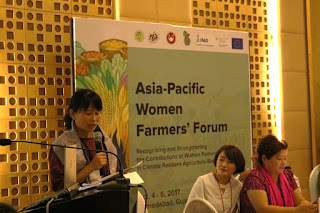 Asian Farmers Association for Sustainable Rural Development (AFA) Secretary General Esther Penunia stressed that the importance of conducting the forum is highlighted into two (2) concerns: first is that Asia-Pacific region has the most number of small-scale family farmers in the world at 70%. She noted that it is the small scale family farmers that feed the world. And second, women in family farmers do as much as 70-90% of the work but are not recognized, are underpaid, and underprivileged. 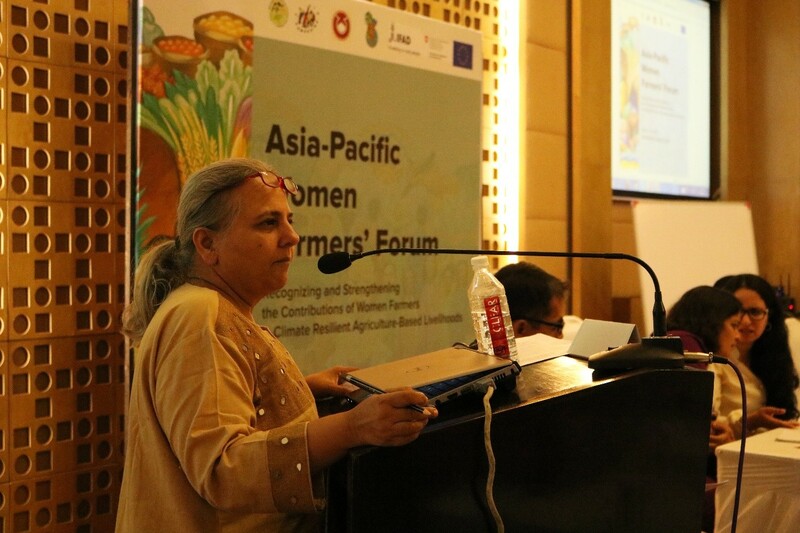 In her opening remarks, AFA Vice-Chair Zashada Begum recounted the plight of women farmers in her country, Bangladesh, saying that women farmers in her country are not recognized. She expressed hope that the forum will be a venue to discuss the future of women farmers and that the participants can come up with consolidated issues and challenges and provide ways on how to overcome these. Meera Mishra of the International Fund for Agricultural Development (IFAD) stressed that the forum is a very important platform not only for sharing experiences of the farmers, but to also to talk about new innovations. “All women farmers should also be encouraged to learn basic technology and be open to technologies. Only then can you be open to new opportunities,” she says. 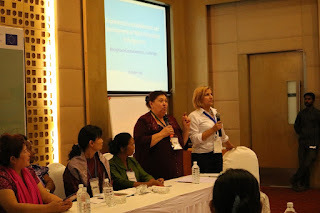 Self Employed Women’s Association (SEWA) Executive Director Reema Nanavaty also said that the meeting could also be for finding ways on how to create more opportunities for women. Furthermore, she expressed hope that the result of the deliberations will make a big way for policies of India and will be brought to International Labour Organization (ILO) in 2019 to be included in the discussion on the future of women and young farmers in Asia. “We will all work together to improve the lives of women farmers and their families and give integrity to the farming profession by doing the work that we do,” she added. 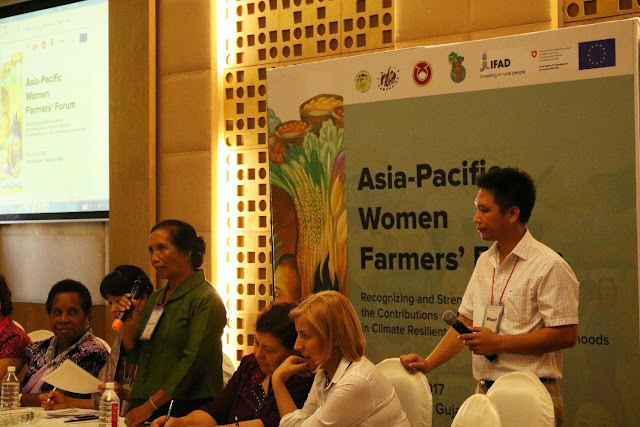 The forum aimed to make appreciation for women farmers in addressing food security, nutrition and climate change in general, and to identify key action points to strengthen these role of women. For three days, the participants shared their work, gave analysis, insights and perspectives and outlined ways forward. 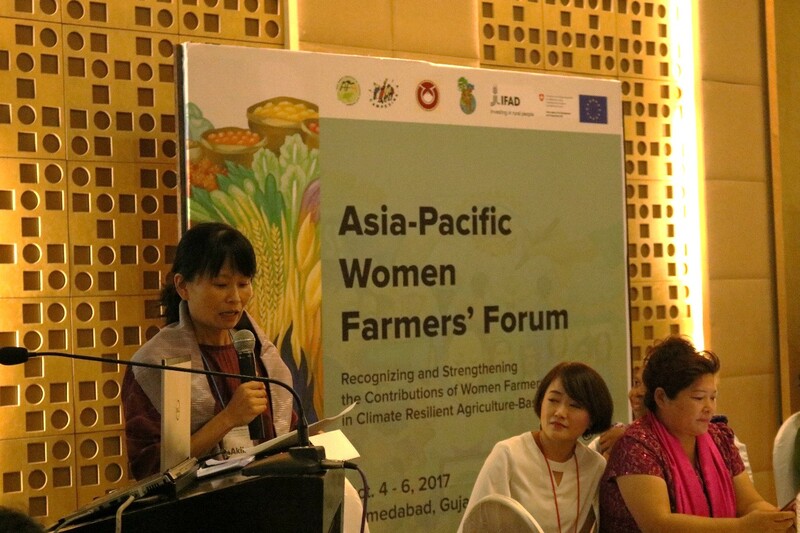 The Asia-Pacific Women Farmers’ Forum was organized by Asian Farmers’ Association (AFA) and Self Employed Women’s Association (SEWA). 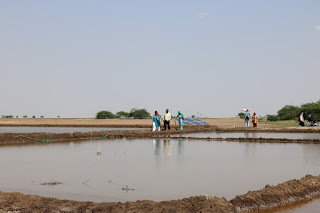 APWFF participants visited a salt farming village in Surendranagar. 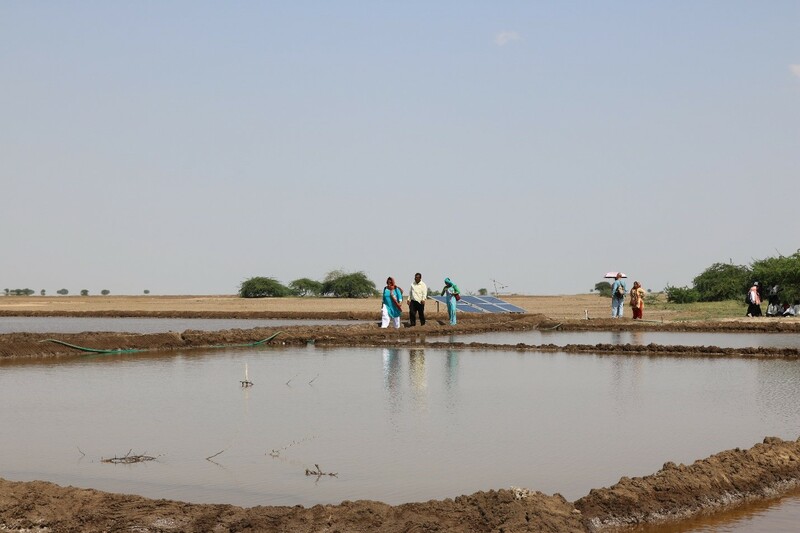 The farmers use solar energy to power the machineries they use in salt farming including machines to monitor salinity level, pumping, etc. One has to remember Gandhi's Salt march in 1930, against the British salt monopoly, which gained worldwide attention to the India's independence movement. SEWA Executive Director Reema Nanavaty says SEWA believes in full employment and self-reliance of its members. Two-thirds of SEWA’s members are rural dwellers. 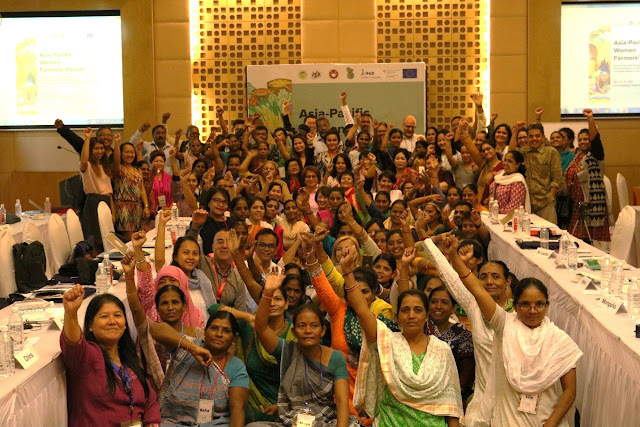 They organized small women farmers and have been able to reach out to more than half a million of farmers in India. According to Ms. Nanavaty, SEWA provides various technical services to its members and they also partner with private companies. SEWA also invests in climate smart agriculture by bringing in technology such farm planning to maximize the production and profit of the land by not relying on one crop alone. They also did innovation to improve access of bank for farmers. “If we want to support family farmers and improve labor force in your community, own up the value chain of your product,” she stressed. SEWA recently marked its 45th year as an organization. SEWA was founded in 1972 by Gandhian and civil rights leader Ela Bhatt as a branch of Textile Labour Association (TLA), a labour union founded by Gandhi in 1918. 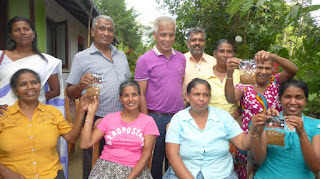 Ms. Deniyage Samanthi Manjula and Mr. Lalith Abeysinghe presented the Sri Lanka case study which is a story of a group of women owning a small plot of land called Kandyan Home Garden. 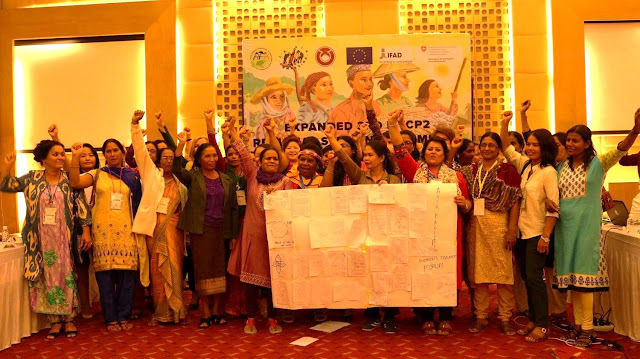 Through MTCP2, the women were encouraged to organize themselves and asked to maximize the land and nature. MTCP2 programme helped them build confidence in leadership and gave them trainings to add values to their crops, and proper production of spices and processed coffee. The value addition of their own products boosted the women’s confidence and hope. They were also mobilized to help needy people and participated in protest campaigns. INDIA: WOMEN & MEN FOR ALL. Catila Jane Palmar have been associated with SEWA for the past 20 years. She used to be a small producer of millet but could not even earn enough to provide two meals for her family. She underwent horticulture training though SEWA and gained knowledge and confidence. Consequently, she improved her. She also began livestock management for additional source of income. Furthermore, she took a loan from SEWA to buy a solar light which she used in her work. Not long after, she was able to pay the solar lantern from the increase of her income. She also used to sell flowers to traders because she did not know to where to sell. She then took another loan to buy a cellphone which she used to search for data on prices of flowers in the market. She learned where to sell flowers with better prices. This made her realize that many farmers are on the same situation as her so she set up Rudi Company. In Rudi project, they procure their produce and sell it to their members as well. They are currently working in various places in India, Sri Lanka and Nepal. LAOS : INTEGRATED FARMING. 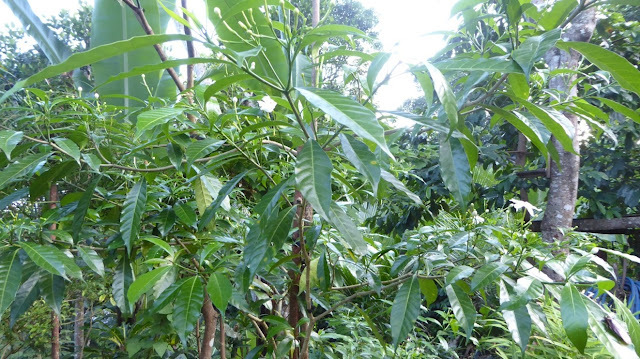 Bouachanch Sivilay used to grow crops only for food consumption. In 2009, a local NGO that support sustainable agriculture gave a training which she participated in. She got together with a group of 7 people who learned how to do organic production. When they had enough produce, they tried to do organic marketing. In 2014, her group became a member of Laos Farmer Network where she learned more techniques on organic farming. 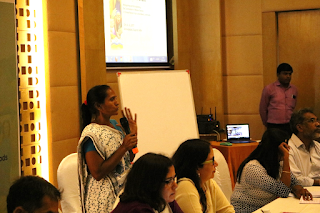 At the present, her group has 97 women members growing organic crops and providing welfare for their families. 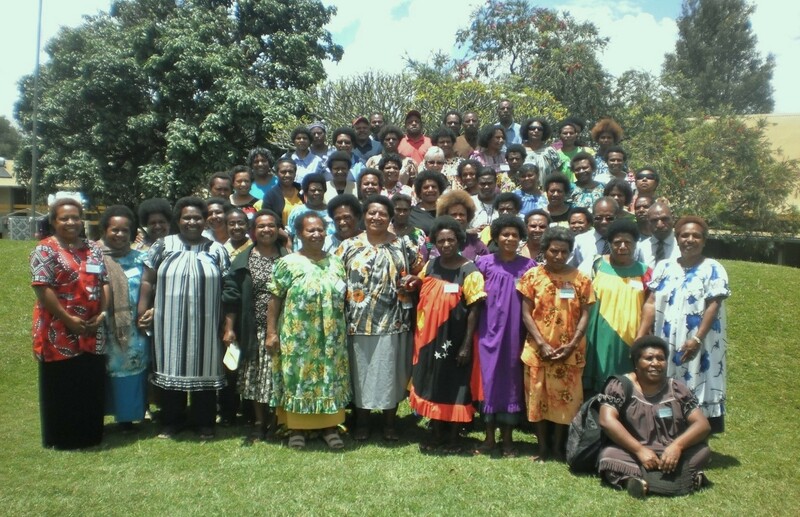 PAPUA NEW GUINEA: EDUCATE THE WOMEN. Ms. Maria Linibi says that in Papua New Guinea, they do not communicate much as they have many languages, women are not educated, and most do not know how to use smart phones. She also noted that women work better with other women than with men. 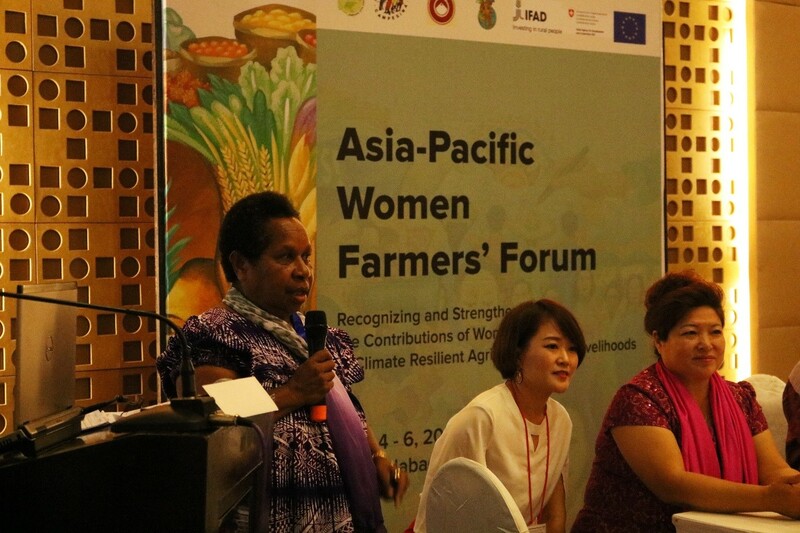 Their group, Papua New Guinea Women in Agricultural Development Foundation (PNGWiADF), used the multi-sectoral approach for their initiatives in agriculture. They talked to the government and partnered with other institutions. PNGWiADF has women farmers who grow coffee, who are in horticulture, mining, etc. PNGWiADF’s activities under the MTCP2 programme include: launching of a website; indigenous seeds saving program; hosting the SIS mission to PNG; solar irrigation, lighting, mobile charging, and other appliances for women; solar rice milling machines; building capacity for women, and cut flower arrangement. KYRGYSTAN : WATER IS LIFE. 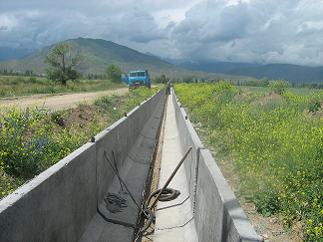 WUA Federation in Kyrgyzstan is in charge of distribution of water. In 1996 a land reform was carried in accordance with the government program to transfer from common collective farming to individual private farming. 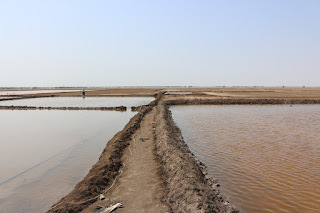 Since all water canals became ownerless, the country had to carry out water reform. Thus the Water User Association was established. 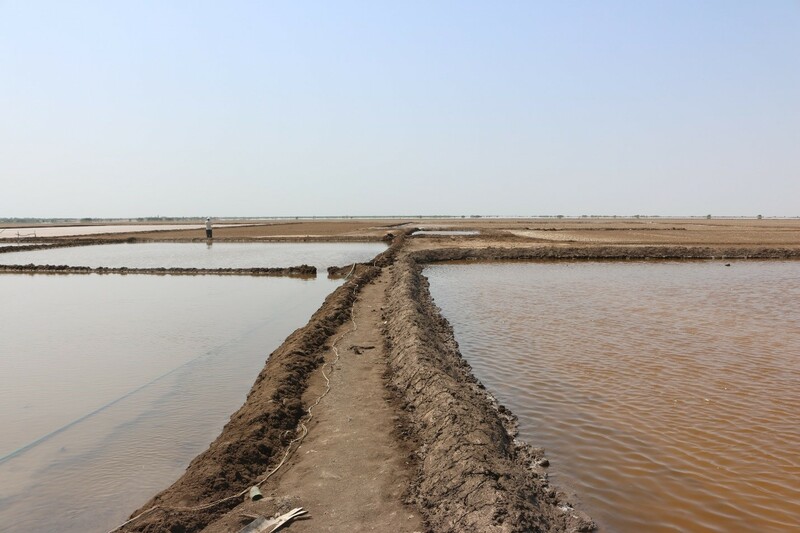 WUAs took responsibility of repairing, maintaining and operating irrigation structures. 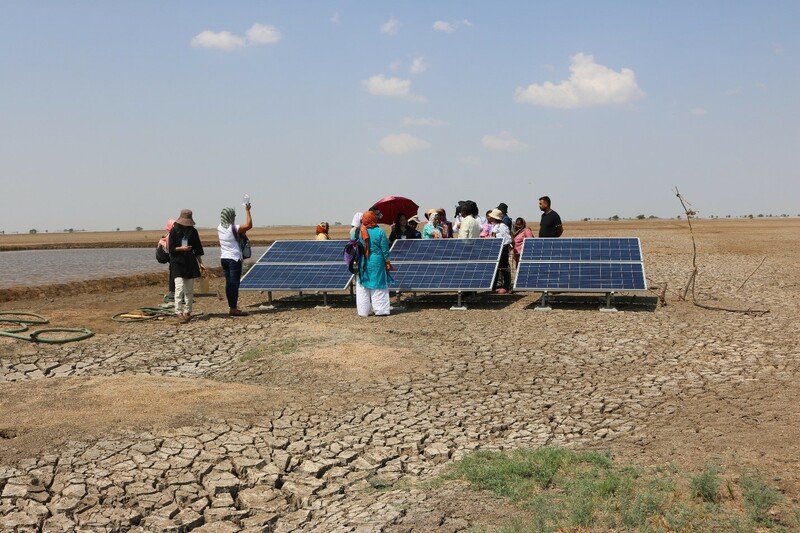 The organization aims to unite WUAs taking irrigation water from one source, to deliver required amount of water at the right time, to properly record water use, to increase confidence of water users, to collect irrigation service fee from water users, and for sustainability. Expected results of WUA Federation’s programs are sustainability, an organization capable of managing off-farm and on-farm irrigation systems without external support, and support of WUAs through consultations. According to Ms. Bratashova Irina & Ms. Natalia Manchenko, the federation’s achievements so far include its establishment and current functions, good collection of irrigation service fee from water users, repayment of technical credit for machinery, operation, and maintenance not only on-farm canals but the whole off-farm system including headworks. 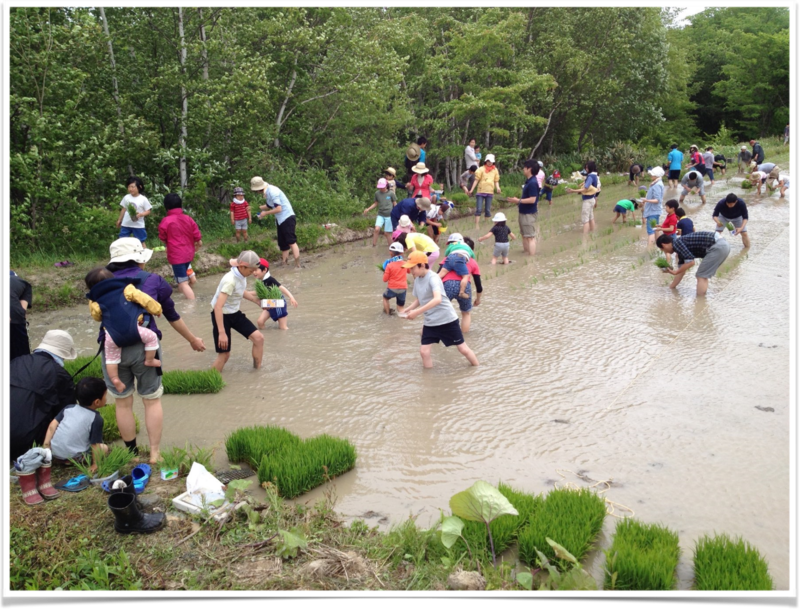 JAPAN : COMMUNITY SUPPORTED AGRICULTURE. Ms. Akiko Aratani of narrated a story about their farming village in Menno, Ainoka, Japan. In their farm, located in the northernmost part of Japan, they raise 400 chickens and grow crops including rice, herbs, grapes, and wheat. 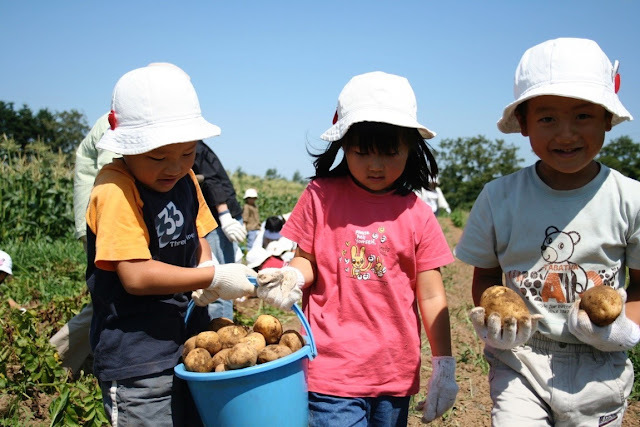 Currently, there are about 80 households in their community who eat the produce in their farm. 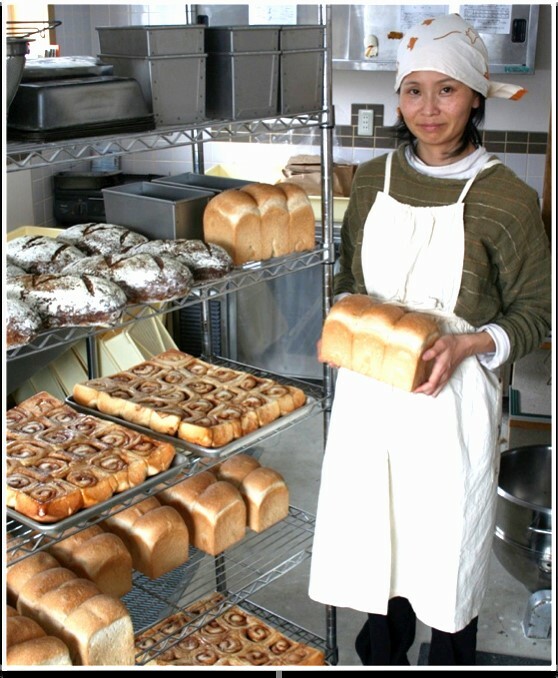 The village has a small bakery that hosts their produce. They also teach children about farming. CHINA: FOR MORE WOMEN, FOR BETTER LIFE. In 2005, Ms. Kou Hongyan of China went back to her village to start the egg layer breeding business. She established the YINONGYUAN cooperative in 2007 with local female farmers. Over the years, YINONGYUAN coop has developed a series of business including layer breeding with yellow meal worm, apple planting, and agricultural tourism. In 2015, in order to resolve the problem of apple overstocking, she tried to introduce new sale channels, such as online marketing, TV home shopping, and mobile shopping. In 2016, YINONGYUAN coop started to combine the online shopping business with agricultural tourism. Ms. Kou introduced the smart box, with which tourists can conveniently search and book products of the coop on their phones. They also established the first rural ON&OFFline shop in Beijing. They created garden trusteeship module to help increase the income of local poor. They changed the traditional idea of agricultural production, and innovated the new types of development model, and improved the local livelihood. YINONGYUAN has played an important role in solving social problem of the community. Starting 2014, they have assisted the local procurator to help 8 youth who have commit misdemeanors to master the ability to earn a living by studying ecological farming. 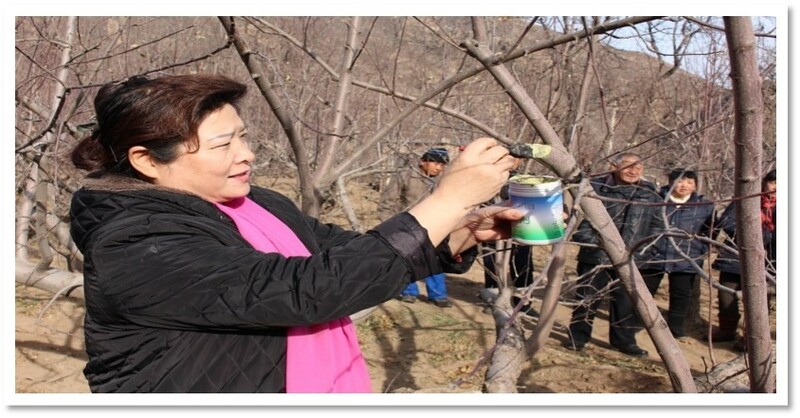 Mrs. Kou has been awarded “national rural science and technology female expert”, “Beijing labor model”, “Beijing outstanding contribution talents” and other titles. She believes the cooperatives provide her a platform to show her value and give her a chance to realize her beautiful farmer dream. YINONGYUAN has built their training center in 2014 in order to enhance the comprehensive abilities of local farmers, such as farm technology, product marketing, policy explaining, etc. As a result of the training, local farmers has more job opportunities and obvious increasing income. 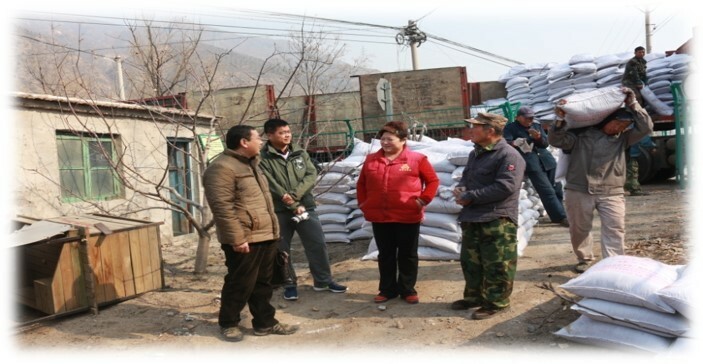 In 2016, YINONGYUAN trained more than 3500 farmers, coordinated 28 female farmers to improve their cooperatives, and attract 30 coops to join in the Women Agriculture Business Federation. Ms. Kou said that her dream is to train more women farmers to earn more from their farm.